Aside from diamonds, there may be no other gemstone more iconic or classic than the pearls. While technically not a stone at all, the timeless quality of pearls has withstood eons of fashion trends. They have ebbed and flowed around the pearl and the pearl weathered the tide with ease. From Persian princesses to today’s royalty (both Hollywood and actual royals), pearls are a luxurious fashion statement. While a pearl is considered a gem, it is not properly a gemstone. It is not a stone at all but rather a biological product. Pearls are formed by oysters, a type of mollusk. Oysters have very soft, delicate flesh they protect inside incredibly hard shells. Occasionally, some sort of irritant like a small rock or bit of shell will get inside their hard shell. This is painful for the oyster but they have evolved a defense. Pearl oysters secrete a substance called nacre to coat the offending invader in a smooth surface. Sadly pearl oysters, while a member of the same species are different than the oysters and mussels we eat. Sadly any pearls we find in our food is not a jewelry quality pearl. Oyster varieties used for food do not produce nacre, therefore do not make pearls in the same manner. The longer the oyster lives with the pearl, the large the pearls get. Some of the oldest, largest pearls we know of, found in tombs as old as 4200 BCE, were likely decades in the making with the oyster. The Persian Gulf was the water of origin for most of the pearls of antiquity. Until we figured out how to culture pearls, it was the sole source of production quality pearls. In 1893 Kokichi Mikimoto created the world’s first cultured pearl in Japan. He did so by manually introducing the irritant. With patience, he was rewarded with the first “man-made”, or at least man-stimulated pearl. Dubbed Akoya pearls, he spent a good chunk of his career defending them as “real” pearls. Scientifically speaking, they are. Fashion speaking, they are just as beautiful as well. Akoya pearls are still produced today and range in colors from classic pearl white to a blushing rose. Pearls can be cultured in both fresh and saltwater. Most freshwater cultured pearls originate in China now. These take approximately one to six years to form. The more valuable saltwater cultured pearls can take up to twenty years, including the Akoyas. 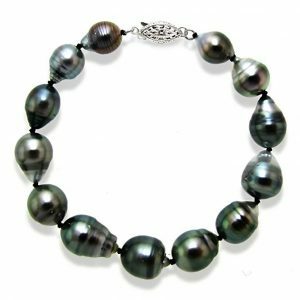 The color and patterning of a pearl depend on what type of oyster, or mollusk, is used Exotic black pearls come from the salty waters of Tahiti and Polynesian waters by Tahitian Black-Lipped Oyster. South Sea pearls are often much larger than their Polynesian and Japanese cousins. Hailing from Australian as well as Philippine and Indonesian regions, South Sea pearls can naturally grow up to 20mm and range in colors from white to a brilliant yellow gold. The later twentieth century also saw the rise of synthetic pearls made of polyresin, or plastic. These are a fine, low-cost alternative for very occasional use. The pearl paint on plastic, however, is subject to chipping and easy damage. Pearls are known by many monikers; The Queen of Gems, The First Gem, and The World’s Oldest Gem. They have been worn by knights of the middle ages for good luck. In China, they were used to represent the purity of the wearer. There is a legend that says Cleopatra, when trying to prove to Marc Anthony that she could serve the finest, most luxurious dinner, crushed expensive and precious pearl into the wine. Queen Elizabeth I adorned herself with hundreds of pearls. Sometimes at the same time. 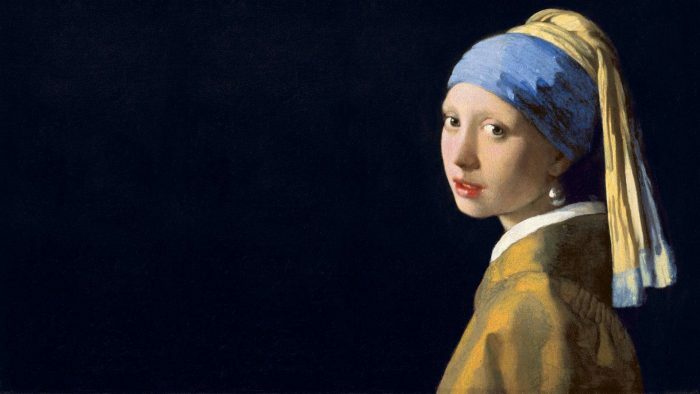 From ropes around her neck to pearl-topped pins poked into her ginger coif, she used them to denote her femininity in a role traditionally associated with males. Fast forward a few hundred years and today’s Queen Elizabeth II wears pearls on the regular. Natural pearls, like Elizabeth II’s are almost unheard of today. Due to rampant over farming of the oyster beds, the Persian gulf oysters are almost devoid of naturally-formed pearls. Those that are found are typically very small and unusable for most jewelry applications. For this reason, vintage pearl pieces can go for millions at auction. Go back far enough and we bet you can find a picture of any celebrity you can think of wearing pearls in some fashion. It might be earrings, a bracelet, or, and this is most likely, a classic sixteen-inch strand, but you will find pearls on everyone. The style is so versatile, classic, and classy, no one can resist. The illustrious former First Lady of the United States of America spent a good chunk of time rocking the pearl necklace. 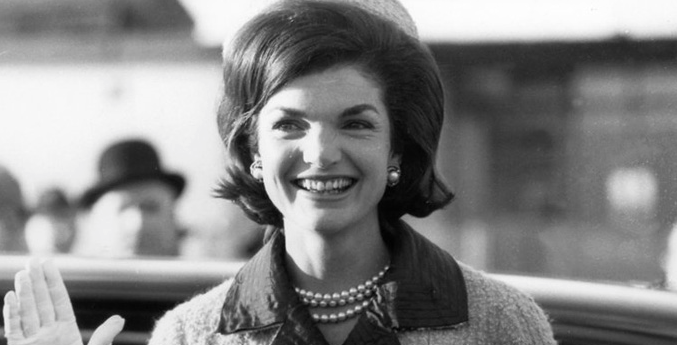 Channeling her inner Jackie Kennedy, purported to have made the pearl necklace all the rage during her time at the White House. Victoria Beckham of Spice Girls and soccer wife fame showed us how to add the perfect pop of pearls with an all-black, all-business dress. Michelle Keegan showed up in Liverpool for Red Nose Day with a most amazing incorporation of a simple pearl band with a chunky, funky layered bangle look. Perhaps it is their watery beginning that fortifies them against being lost to style shifts, but we still love a good use of pearl. 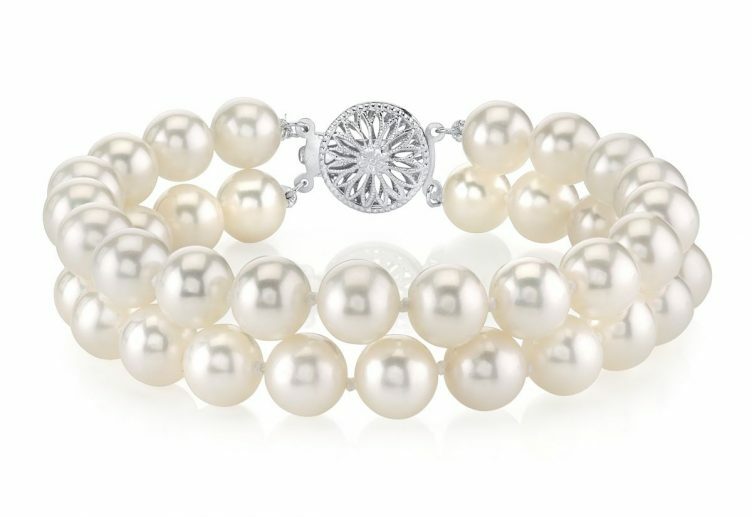 Today we are going to look at ten of our favorite pearl bracelets. We will start with the absolute pinnacle of the classic. This simple bracelet length strand of pearls could not be more simple. Nor could it be more beautiful. Grading and ranking pearls quality is about as complex and in-depth as grading and ranking diamonds. There are various classifications for shape, color, composition, and flawlessness. For Akoya pearls, the highest level of perfection is called Hanadama. These are considered flawless with at least 0.4mm of nacre from either side of center. (So at least 0.8mm in diameter.) The color must be naturally lustrous and shiny and there can be no inclusions at all. Below that are AAA grade. These are virtually flawless but may have some variation of color from gem to gem. They will need to be perfectly round with a mirror-like luster. This pearl bracelet offered by La Regis Jewelry is constructed entirely of AAA grade Akoya pearls. Less than 5% of the surface contains flaws and at that, most cannot be spotted by the naked eye. The pearls are strung and fastened by a fish hook style clasp. The finding and hook are constructed of 14k yellow gold. We love the pop of warm yellow next to the creamy pearls. This being the classic styling, even named by La Regis as “The Classic”, there really is not a look that cannot be made better with this strand of pearls. 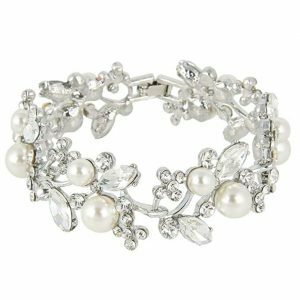 From yoga pants on the way to the gym to your best ball gown, you cannot go wrong with a pearl bracelet. With no frills or fancy extras, this single strand is a must-have for anyone with a respectable jewelry collection. We will move from one classic to a more modern take on it. This bracelet is remarkably similar to our first selection in design and styling. The notable difference is the color of the pearls selected. 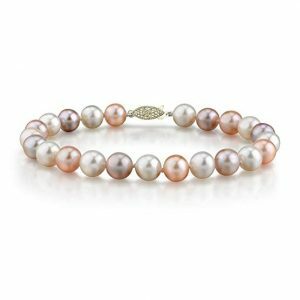 Offered by The Pearl Source, the bracelet features the traditional cream-colored pearls, bright bluish-white, rosy pink and warm chocolate. Strung and closed with your choice of a 14k yellow or white gold fish hook style closure, this bracelet adds a colorful pop on your wrist. As with any classic strand of pearls, this can stand alone or add to a layered look of bangles and bands. This bracelet boasts pearls measuring 9-10mm each. These sizeable freshwater cultured gems will be able to hold up to heavier looks. 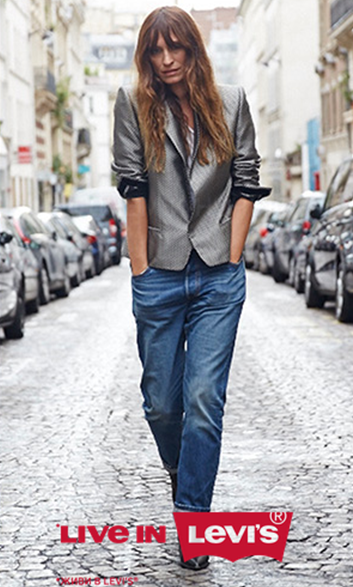 Some daintier pieces might be lost in the jumble of a strong layered look but this one is hefty enough to work. 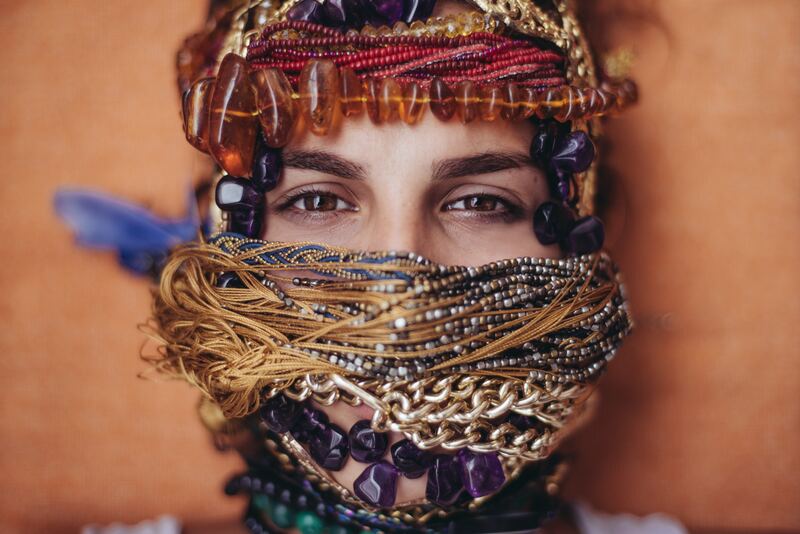 From whole strands of pearls, we move to a brilliant use of just a single gem. This pearl is mounted by twisted wire work to a 14k rose gold bangle style bracelet. A dainty, adorable charm hangs from the band as well. The charm is engraved with a lovely heart. The pearl used in this creation is a Swarovski pearl. Swarovski is most famous for rhinestone and crystal work but they do create other synthetic stones. 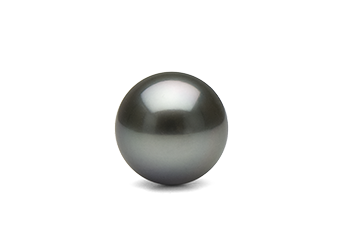 This pearl is guaranteed to be a wonderful example of pure perfection as it is synthetic. Completely controlled during its creation, synthetic pearls are not subject to the whims and errors possible in natural oyster production. While it is not a natural pearl, it will be perfectly smooth, beautifully colored, and totally spherical, without flaw. This bracelet is a handmade creation by an artisan out of Georgia, USA. Created by georgie designs, it is incredibly simple. Sometimes the most elegant creations are the simplest. 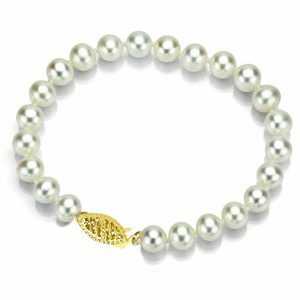 With just the ivory colored pearl and the warm rosy gold, this piece can still manage to stand alone as a solo bracelet. Or pair it with a few rose gold wire bangles for a heavier, layered look. This bracelet makes a perfect, simple gift. It can be made to fit nearly every taste and style. Created to fit a 6-7 inch wrist, instructions are graciously provided by the creator to resize if needed. Our second selection from creators, The Pearl Source, this is the first of our selection to feature freshwater cultured pearls. Freshwater pearls are often slightly smaller and a bit less symmetrical but they provide all the luster of their saltwater cousins. They are easier to produce as well as the salination level does not need to be maintained. Care of the oysters is significantly easier and this makes for a much quicker harvest of the cultured pearls. This also makes them significantly more affordable. 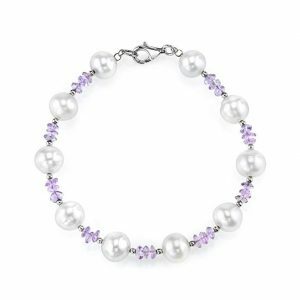 This bracelet features ten freshwater cultured pearls framed with 925 Sterling silver beads and brilliant amethyst stones. The wonderful pale purple color plays nicely off the pearls. It highlights the cooler, bluish tones in the pearls. This bracelet is slightly less versatile than our three previous selections for the color. While pearl goes with literally everything, the amethyst moves it to the cooler side of the palette. Plus with all the added visual interest, this bracelet may not play well with others. It is best worn as a solo piece. 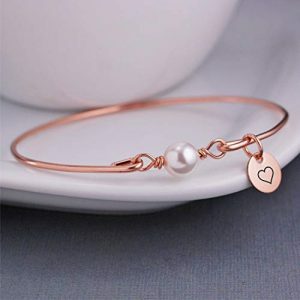 It will work for both casual and evening looks however as a pearl bracelet, no matter what stones are included, can pull off both sides of the coin. Created specifically for Amazon’s Exclusive Collection, this bracelet features a wonderful assortment of gems. Blue topaz in a host of blue shaded, button-shaped pearls, and diamonds come together in an irregular arrangement to create this stunner. The pearls on this piece are freshwater cultured and an irregular shape. This can mean a few different things as far as the formation of the pearls is concerned. It may be that these were affected during their formation in the oyster. It may also be that during the handling of the gems during production one cracked or split. The offending portion was removed but half a fine gem remained. This means you might have half a Hanadama pearl included in your bracelet. Due to the damage and requisite cuts made to the pearl it lost its perfect rating. But it won’t make the surviving half any less beautiful. The I-J Color, I2-I3 Clarity diamonds included with this bracelet are equally as stunning. We love the mix of white, pearl, and blue gems over the sterling silver. It will work best as a solo piece. Perhaps pair it with a statement ring featuring blue topaz, diamonds, or both to really highlight the beautiful bracelet. Working in tandem, your whole hand will be absolutely dazzling. We return to the realm of synthetic pearls for this bargain-priced find. Synthetic pearls, Austrian rhinestones, and high-polished silver alloy come together to create a wonderful piece for special occasions. The pearls are used as flowers in this floral designed piece. The crystals create the petals and leaves with a beautiful filigree feel. This piece is absolutely a solo piece. Not only for the varying shape of the edges and the textured stones but for the complexity of the design. It would be wonderful for a wedding party addition. Give these to the bridesmaids, junior bridesmaids and flower girls for a unified look in their jewelry choices. 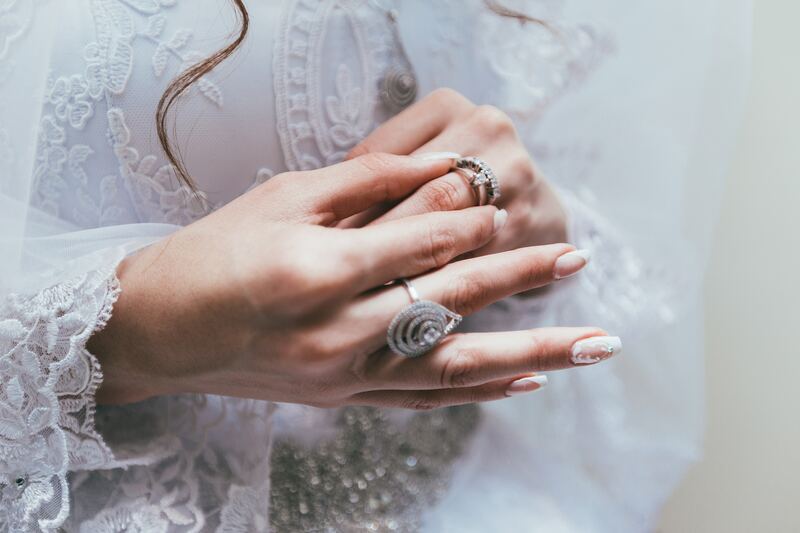 With such a steal of a price, you can afford to outfit your wedding party in pearls and crystals and still put on one spectacular wedding. 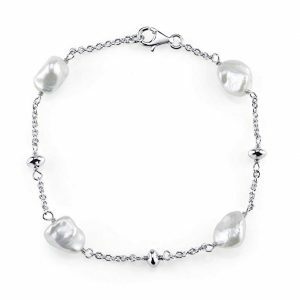 Next up we present a 925 sterling silver chain boasting four Keshi pearls. They are strung together on a delicate, effeminate chain of sterling silver. Bead accents add just a touch of texture to the cable chain. 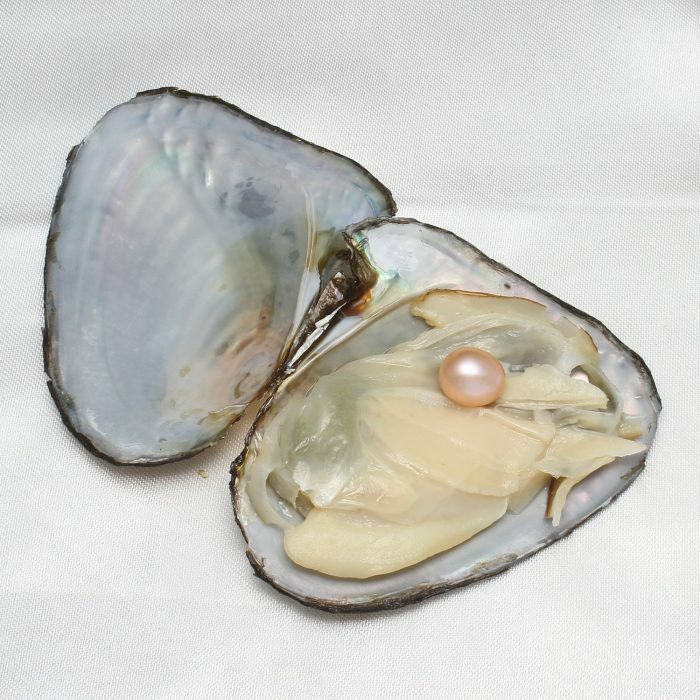 Keshi pearls are, essentially, flukes of pearl culturing. Most pearls begin with a bit of irritant, be it sand or a piece of shell, inserted into the oyster when it is around a year old. The oyster protects their delicate insides from damage by coating the invader with nacre. The thicker the nacre the more brilliantly lustrous the pearl it produces. Pearls can take anywhere from one to twenty years to produce. So creators of cultured pearls have no idea what sort of pearl is forming until it is harvested. In a pearl, the original irritant is still deep inside the orb. This is called the nucleus. Keshi pearls are formed when the nucleus is absent. Occasionally, the oyster manages to dislodge and expel the irritant but not before it began producing nacre. The calcium-based secretion remains and continues to build even though the original problem was handled long ago. Keshi pearls are often highly irregularly shaped. Without the nucleus to coat and work, the oysters simply layer the nacre on wherever it lands. This creates a wonderful array of shaped gems. They are normally not as lustrous as the spherical pearls but that does not always come at the cost of beauty. 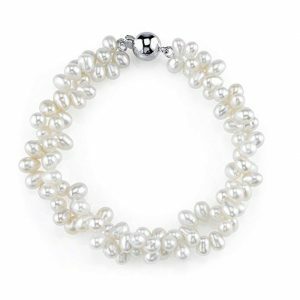 In this bracelet, any luster lacking in the Keshi pearls is more than made up for in the bright sterling silver. Designed to wear loosely around the wrist, this bracelet comes in a generous seven-inch length with a lobster claw closure. We recommend wearing this piece solo. It will highlight the uniqueness of each pearl. Rice shaped pearls are beautiful pearls that are more oval in shape than the more preferable sphere. Sometimes called off-round or potato shaped, these are often smaller pearls than the more valuable symmetrical spheres. They are also significantly cheaper. Most rice pearls are produced as byproducts of the freshwater culture industry in China. Rice shape pearls most often occur when an oyster produced more than one pearl at a time. Since they are far less valuable it also means you can get a lot more pearls on one piece for a very reasonable price. That brings us to this bracelet. Whole strands of rice pearls are hung together for a chunky, charm-like effect. This is a whole lot of pearl. When presented in such a large bunch, you almost lose the asymmetry of each individual pearl. The creamy color means this bracelet will go with just about everything. Wear it in tandem with other bangles to add texture. Or wear it solo for a fantastic bracelet to wear at work. We return to pearl purveyor La Regis this time for a dose of Tahitian pearls. Cultured in saltwater, Tahitian pearls are known for their vibrant color palette. They take longer to produce but the results are worth waiting for. 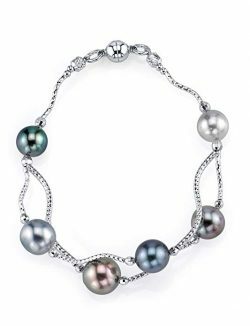 This bracelet features thirteen black baroque pearls strung with a 14k white gold closure. Baroque pearls are naturally produced when an oyster is under some sort of threat while culturing the pearl and the pearl is jostled. In cultured settings, these are created by an irregular location of the nucleus. In reaction to this, the oyster does not layer the nacre on evenly, creating teardrop or ovoid shaped pearls. Tahitian pearls are more likely to be baroque in style. These particular baroque pearls sport a brilliant iridescence that reminds us of peacock feathers. The teardrop-shaped pearls will vary from gem to gem and bracelet to bracelet. That also means you get a one of a kind wearable. You can absolutely wear this piece as part of a layered look. We suggest pairing it with white gold, silver, and other pale colors. It will really make those deeply colored black pearls pop. It will also stand up to scrutiny as a solo piece. The irregularity of the gems, normally considered a detractor, is one of the best parts of this piece to us. It has a very exotic feel both with the islander origins and the brilliant coloration of the gems. You get the staying power of pearls with the other-worldly feel of something very different. This is probably our favorite piece on this list. Our final offering is an example of beautiful orbs of South Sea black, rose, and lustrous gold pearl. 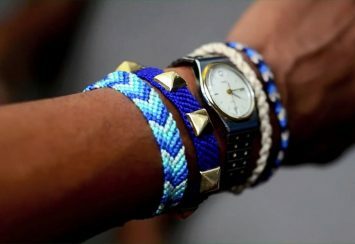 The bracelet is simply styled. Two chains of diamond cut 925 Sterling Silver allow the rainbow of six South Sea pearls to interplay beautifully. Normally we love layers but this piece begs to be worn solo. On the surface, it is very simply styled; six pearls and silver chain with a double safety clasp. But the beauty is in those six pearls. So many layers of deeply colored nacre make for a gorgeous variety of colors. The pearls are listed as AA+ quality so we are unsure what the natural grade of the pearls is. (Tahitian and South Sea pearls are graded on an A-D scale). Truthfully it does not matter what the professionals say when it comes to the overall beauty of these pieces. 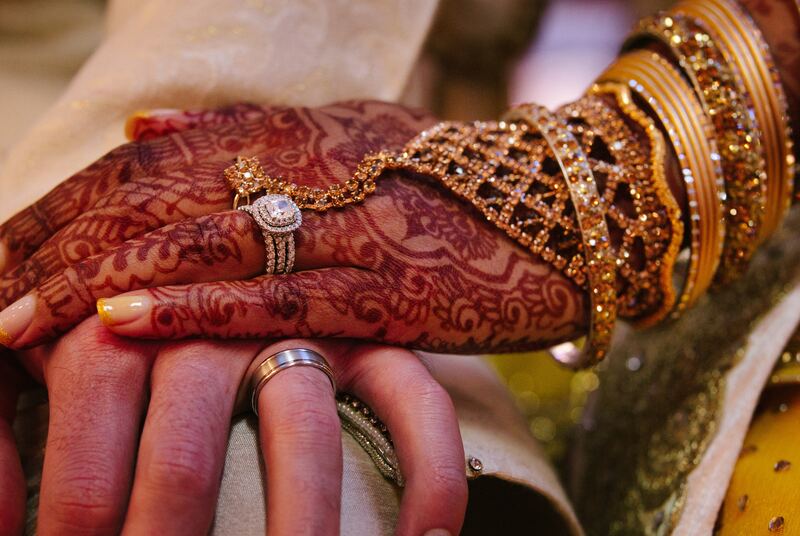 It could get an F by the jeweler’s eye but it definitely earns it AA+ grade for us. Unlike most metal and gemstone jewelry, pearls actually benefit from regular wear. The waterborne gems are formed with moisture and oils. Thus they love the oils and moisture from your skin. Pearls need moisture to continue looking their best. Typically the moisture in the air and that which they get from your skin is enough. 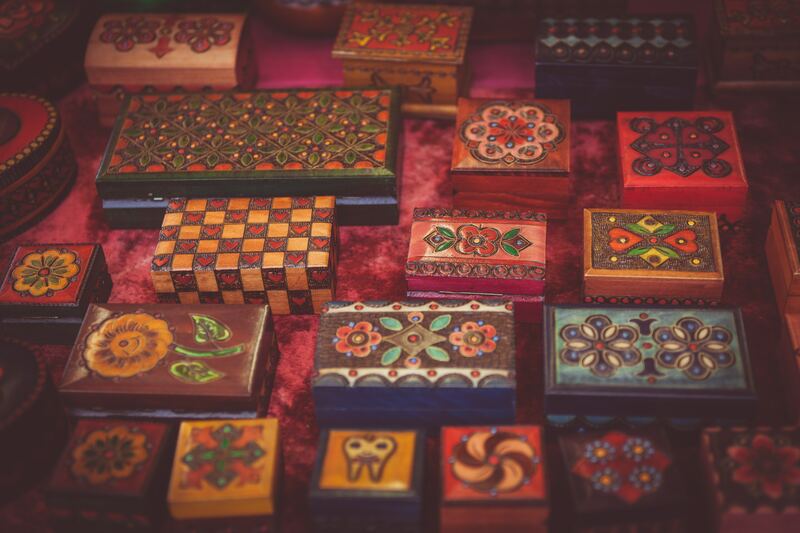 However, stored too long or in an airtight container, and pearls can dry out and crack. Wearing your pearls often is the best medicine for keeping them lovely and healthy. 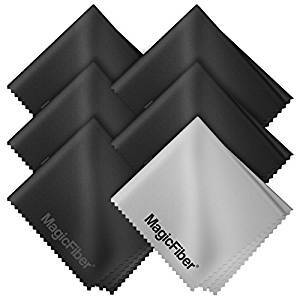 When you are done for the day, wipe them gently with a microfiber cloth to remove any excess dirt or unabsorbed oils. Treat any findings or metal work accordingly. Pearls are a softer material and can scratch. It is best to store these so they are not touching other pieces or even themselves. Hanging or in their original jewelry case is recommended. If this is not an option, considering hanging them open stranded against a piece of fabric. Tack one end to the surface and leave the other dangling. Unfortunately for some, pearls are not vegan. Vegans do not partake or use products that result from harm or suffering of an animal. For the most literal of vegans this includes products made by animals, causing animals to work unnecessarily hard to meet human demand for their labor. This includes honey and pearls. While pearls are formed as a natural defense and pain-relieving method by the oysters, most vegans believe that the harvesting of these violates the vegan principles of animal-produced goods. Luckily, synthetic pearls are almost indistinguishable for most people. Several items on our list include synthetic pearls as opposed to natural or freshwater formed pearls. A few of our selections list their pearls as AAAA grade. There is no such grade for Akoya or Tahitian pearls. 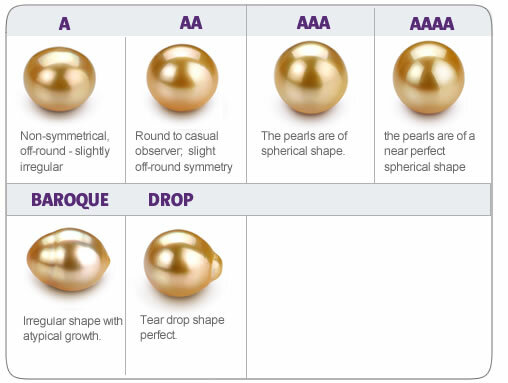 The highest A-based grade available is AAA for Akoya pearls. The highest grade available for Tahitian or South Sea pearls is A. Anything that lists AAAA grade is most likely varying A-AAA quality pearls. Listing a pearl as AAAA grade is a advertising strategy. 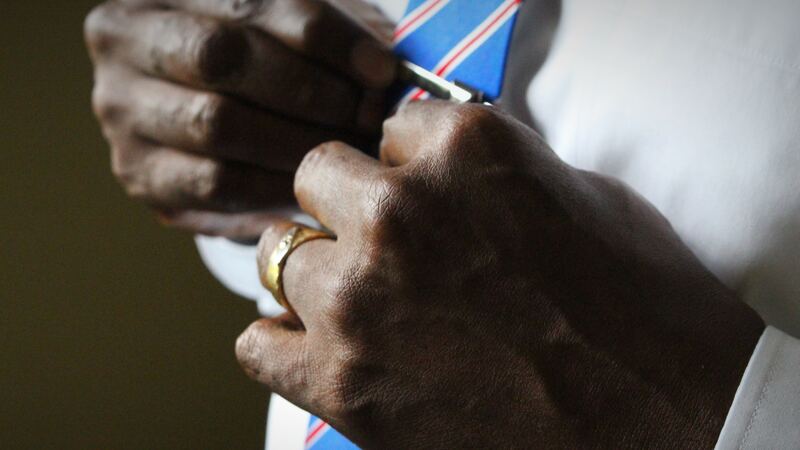 It is most likely an internal grading system maintained by the jewelry seller. This does not mean they are not wearable or jewelry worthy. But for the sake of transparency we felt this was best clarified. While high-grade pearls can be colored, only pure white or ivory colored pearls can be issued the Hanadama grade.